There’s no better place to enjoy a relaxed film night than in your very own Strachan home cinema. All our contemporary cinema rooms are designed with storage for your technology, including built to measure shelving and clever integration features. 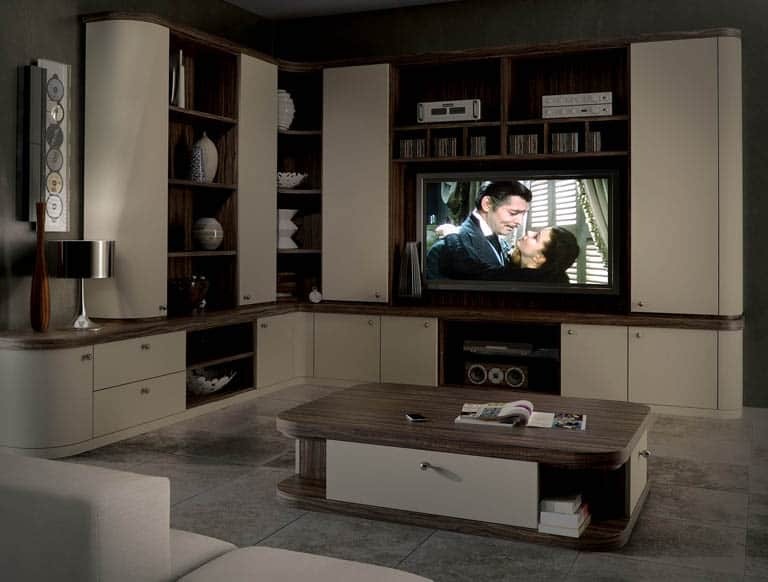 Our Optima range lends itself beautifully to a home cinema room. The curved profiles are seamlessly shaped around your screen, while the two-tone wood and painted finish gives your home a stunningly modern look. 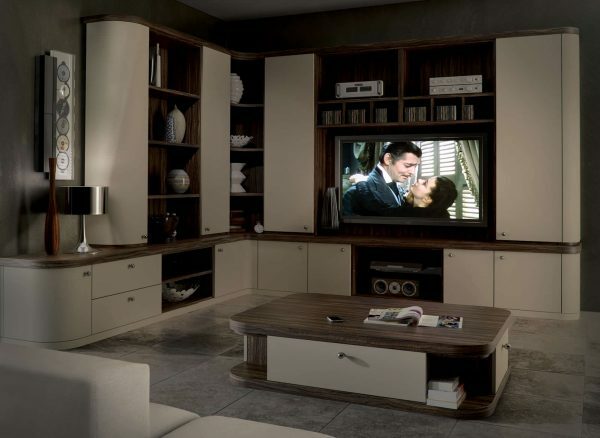 You can even give your fitted furniture a Hollywood touch, with the choice to add glass shelving and LED lighting. 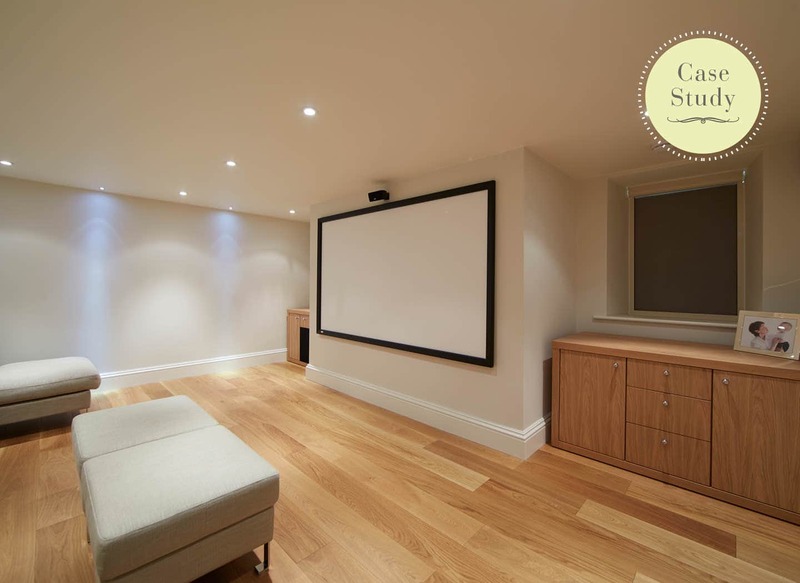 When a customer approached us asking for their basement to be transformed into an effortlessly modern cinema room, we knew we could create a design they would love. 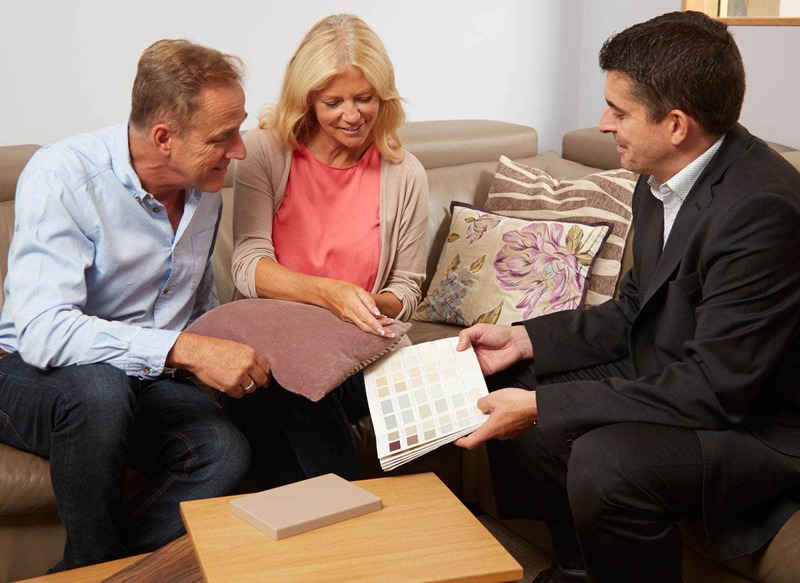 We designed spacious free standing units with clever technology integration features and a versatile Oak finish.